I found this review by Geoffrey Dean, an accomplished Tasmanian (Australian) writer quite interesting especially while editing some of my short stories for competitions recently. I enjoy writing short stories, ranging from “Mondays Finish the Story” (Barbara W. Beacham) flash fiction challenge of 100-150 words to stories I have written in 1500 to 3000 words in our Creative Writing Workshop with Isabel D’Avila Winter. In short story competitions, the limit to the number of words you are required to write can really change a story, as I have found recently while reducing one of my 1500 word short stories to 1000 words for a competition. I have felt in the past week that I probably could have spent less time and written a better story, if I wrote a completely new story. On the other hand, I found it much easier to increase the number of words of another short story from 800 words to the required number, 1000 words. The additional 00 words may have slowed the phase of the story, but it is work-in-progress. Submitting to literary magazines also calls for a fit. You have to write to specific requirements with type and paragraphing or head-lining, but the main challenge is the number of words to fit a page or a column. So how can you fit into the system? Can you be less descriptive or reduce the number of characters without taking from your plot or could you do without long passages of back-stories without killing the story? In the following review, “Are Australian short story writers an endangered species?”, see how author Geoff Dean writes about his process of creating a short story and his discussions on the steps that took him to the end where the answer about short stories and their lengths are quite clear. As Dean writes, one must always aim to write a good short story first and foremost before trying to fit the story “into the system”, i.e., the magazine page size or competition requirements…in other words, to hell with the system, I am going to write my story my way and eventually find a place for it. 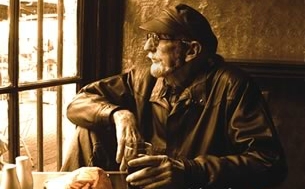 Geoffrey Dean has published 80 short stories. The Tasmanian Writers’ Centre (TWC) in conjunction with Island Magazine and the Geoff and Elizabeth Dean Foundation have just launched the Geoffrey Dean Short Story Competition which is now open to Australian writers. 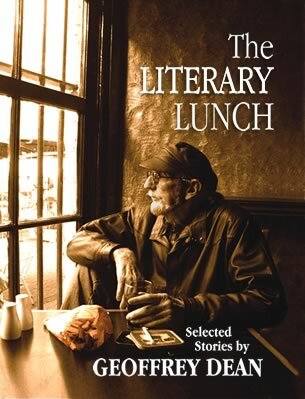 Born in Hobart, Tasmania in 1928, Geoffrey Dean (Geoff) had his first short story published in the mid-1950s. Scores of his stories have appeared in eight collections of his work (Mysteries, myths, and miracles; Under the Mountain; The Literary Lunch; Strangers Country and other stories; Cold Dean Monday and other Australian stories; Summerbird and other stories; Over the Fence; and the Hadlee Stories), as well as magazines, anthologies and collections in Australia, the UK, USA, Norway and China. He won many literary prizes and awards, including the State of Victoria Short Story Award and the Arafura Literary award. His story, The Town that Died was made into a TV drama and broadcast by the Australian Broadcasting Corporation in 1986. Geoff died in August, 2011. RRP AUD22.95, or via this site for AUD$20. Good on you! I have to make an effort too. Thank you for your visit. I had never thought of entering into MFTS or FF as their was a word limit to writing the stories. But somehow I did and now I enjoy them a lot. At first I struggled with cutting the whole story short but now I think it just comes to me. Words do tend to make a whole lot of a difference and sometimes prove to be tricky in terms of a plot, setting or characters. I wish you all the best as you make a lightning presence in the publishing world. 🙂 Thanks for sharing this article. Thank you so much Norma. I enjoy reading your stories. 🙂 I too did not think of trying the flash fiction challenges until I read Millie, Lou and Francesca’s stories and they got me motivated. The challenges force me to ask myself – if I really need a particularly word or sentence in my stories. I’m glad to know that you enjoy my stories, Joy. I agree Millie is very encouraging and I too love her stories and blog. At first I found it very challenging but now I think I’m getting a hang of it. But you sure need time to think, at least I do. There are some who just write I guess that happens as you mature in the process of writing. You are doing well. Thank you for sharing. It’s amazing the difference the word length can make to a short story. In flash fiction, even twenty extra words can make a difference to descriptions and so on. As you say, it makes a big difference to longer stories as well. I’ve never really wanted to write short stories, other than ff, but I wish you every bit of luck with yours. Geoffreey Dean was quite a character, and knew exactly what he wanted for his stories. Thank you much for reading this Millie. I am told that it is good to get presence in the publishing world with published short stories. I do like the challenge of writing a story in a few words, as I tend to get carried away with too many descriptions (when the museum curator emerges) lol. I’d love to come and see you at work. Museums are my favourite places, after all, and I’d really like to see what you have to cope with every day. 🙂 As for short stories, I’m the same as you… very garrulous! The flash fiction has been good for me in that respect. I’ve had to cut a lot of it out now due to lack of time while I’m writing Book 3. I just try to do the one, but I may even have to give that up soon. I really hope you do well with your short stories! You’re so right about establishing a presence in the publishing world. Go for it!